Jamaica made ice hockey history as the first Caribbean nation to become associate members of the International Ice Hockey Federation (IIHF). Team Jamaica will be hitting the ice in 2016! Jamaicans will skate their way to an Olympic Games in the near future spread the word, stay in the loop, support these young men on this journey of a lifetime! 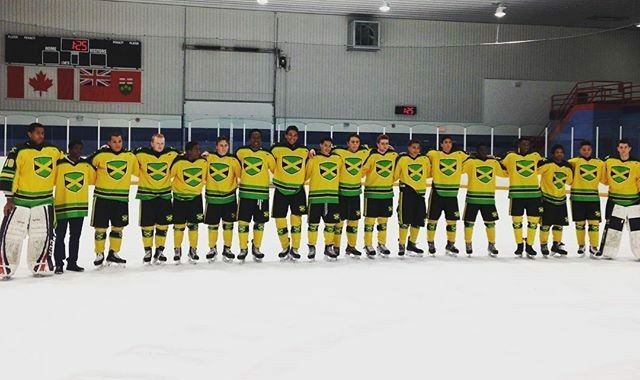 Teachers, coaches, mentors, hockey enthusiasts, athletes and artists, know that Toronto is a hub of (Jamaican ancestry) hockey talent! How else to celebrate a 4-0 win?